Hi there… it’s the girls from eighteen25 and we are so excited to be here. Some people may think it’s too early to be thinking about Christmas gifts and putting up the tree, but NOT us. 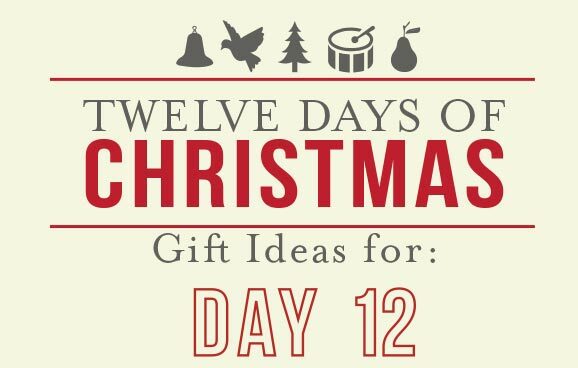 🙂 We are ready for the magical days of Christmastime! I just happen to be listening to Christmas music as I’m typing this and it makes my heart happy! 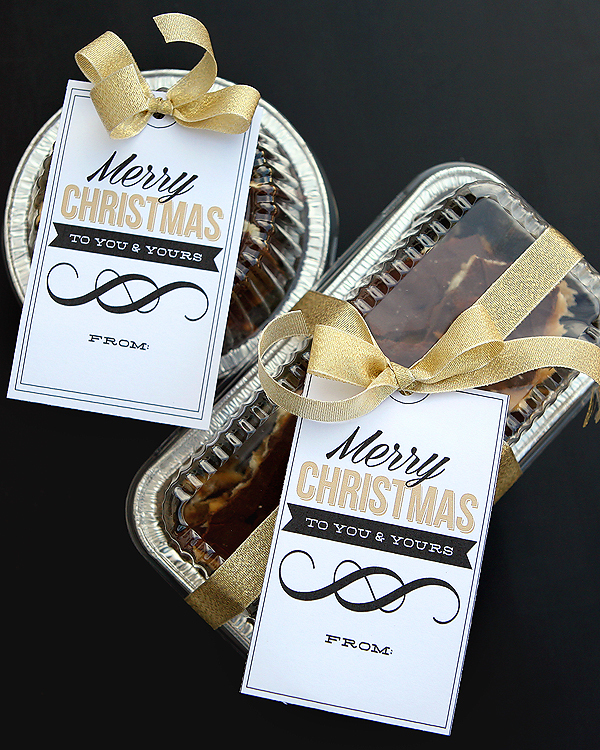 Today we’ve put together a quick gift idea that would be perfect for practically anyone. It’s one of our favorite quotes from the movie Elf and we completely agree with it. 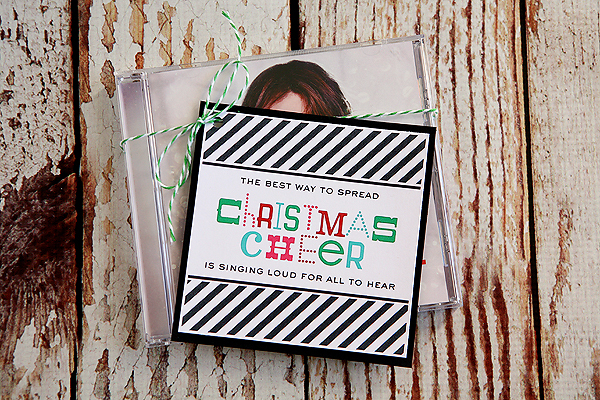 The best way to spread Christmas Cheer IS singing loud for all to hear. 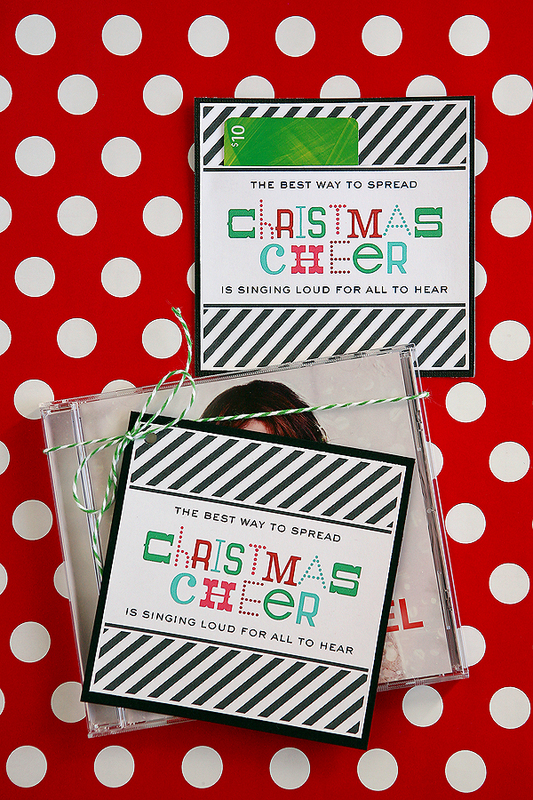 So why not spread that cheer by delivering some Christmas music to friends and family. 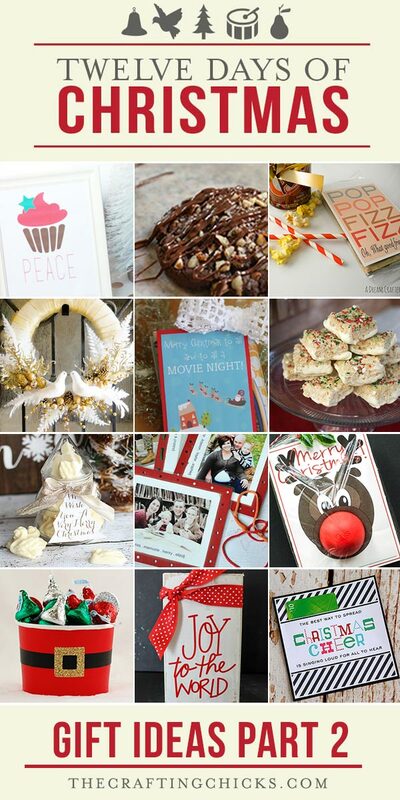 Check out this Christmas Cheer FREE Gift Tag! 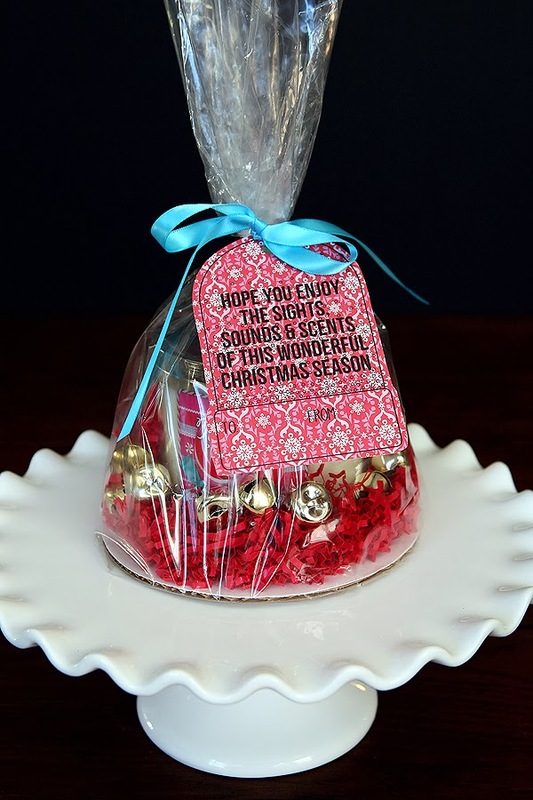 You can attach the fun tag to a Christmas CD with a little twine. This CD just happens to be Idina Menzel: Holiday Wishes. I just picked it up from Target yesterday and it’s a good one! – Download your tags HERE. – Trim around your tag. – Back the tag with some black cardstock. – Punch a little hole in the corner of the tag. – Attach the tag to your CD using some twine. My son says CDs are outdated though. So we decided to come up with an idea for those of you that are up with the times. 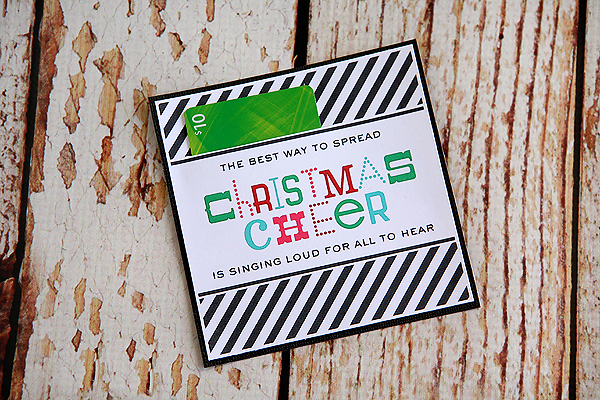 Here is a fun way to include an iTunes card, so they can buy whatever Christmas music they’d like. – Trim around your tags. – Cut a slit in the tag above the top black line. – Back it with some black cardstock. Make sure to only use adhesive around the outside edges. – Slide your iTunes gift card in the slit. We’d love for you to visit us on our Blog | Facebook | Instagram | and Pinterest! Love pretty much everything these girls make!!! So cute! !